Mark Drury is the special guest on AO Radio. Mike Stogsdill with some good tips on calling in turkeys and taxidermist Skip Sims, 2-time NWTF Grand National Champion, sharing how to prep that bird in the field to keep it for a lifetime. 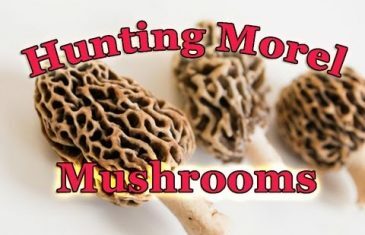 Tracking the wily and elusive Morel Mushroom is revealed with guest Theresa Maybrier of http://www.teammorel.com Also from http://www.goshedhunting.com, Joe Shead talks about finding whitetail shed antlers in the spring.